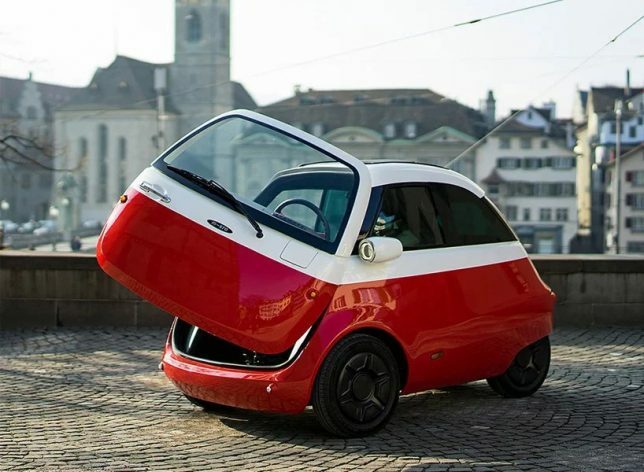 The smallest of the small, this two-seat micro-machine features just one (quite literal) front door positioned where one would expect to find its engine, perfect for navigating and parking on tiny European streets. 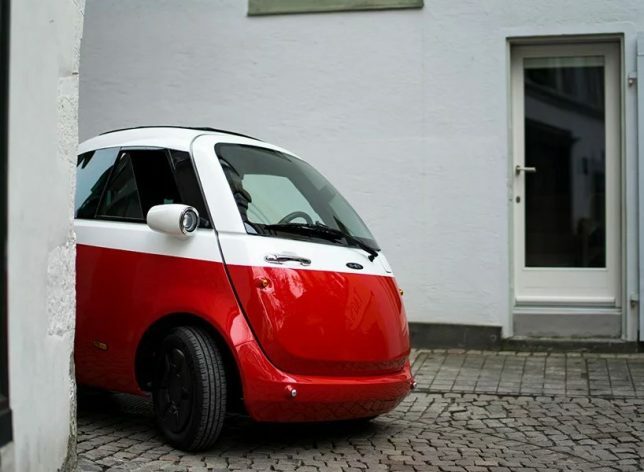 Recharging is easy since the auto can plug into a conventional socket. 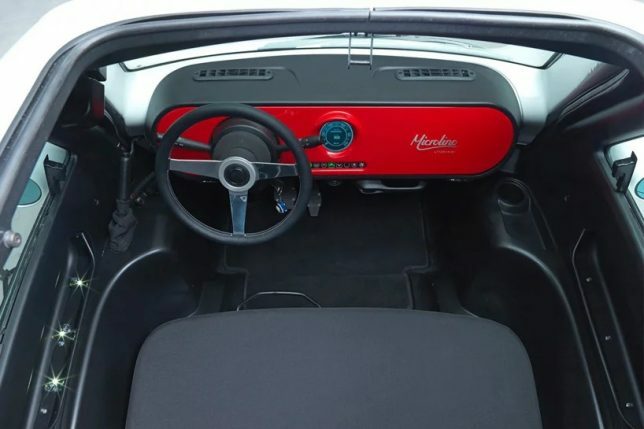 Finding a spot also a breeze since the little car can slide into any old narrow slot then open in front (no need for side door clearance). 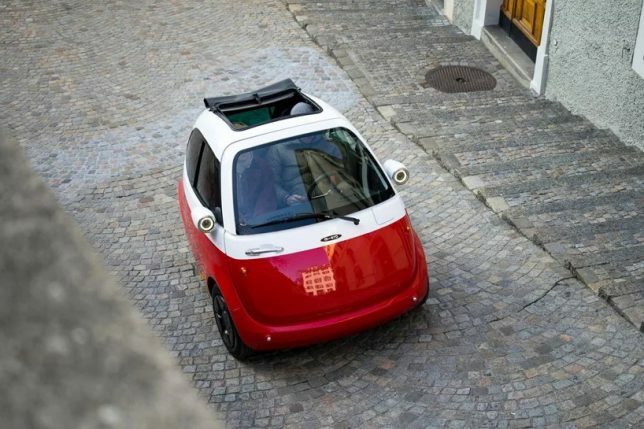 The electric vehicle was debuted last year in Geneva, but had to pass a series of safety tests before it could be approved for deployment on the open road. 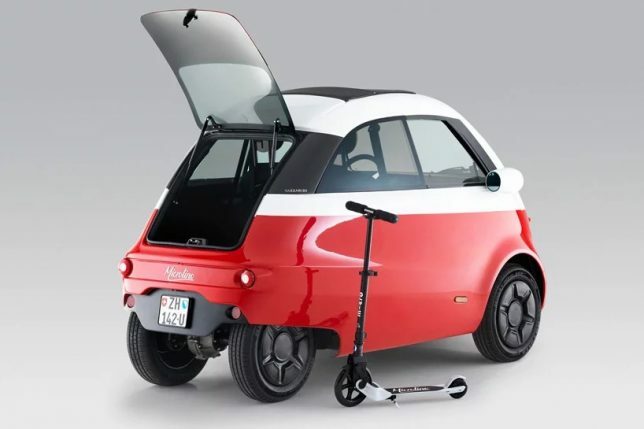 It has gotten the green light roll out next year in Switzerland, then Germany. Built for city driving, the car tops out at just over 55 miles per hour, but it can accelerate from 0 to 30 in five seconds. Total range is up to over 100 miles depending on the battery purchased.